Editor's Note: Since Skyrim figured so prominently at E3, and you might be buying it one more time, here's a list of some of the must-have mods for the game. If you're anything like me, you've got games that just stick with you. New titles come out, but you keep circling back to those games you've been playing for a while. For a lot people, The Elder Scrolls V: Skyrim is one of those games. If you'd like it to be, but you need an incentive to dive back in, you should really look into one or more of the amazing mods available for the game. As is usually the case with mod-friendly games, the community is keeping the game fresh long after the developer has finished up. Got a favorite mod of your own? Share it in the comments! 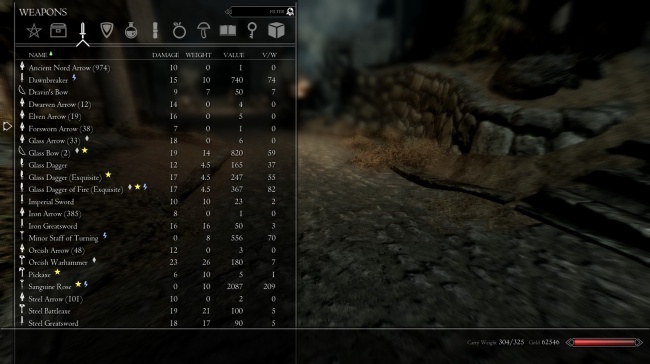 If there's one must-have mod for Skyrim, it's SkyUI. Not only does it clean up the original UI and make it far easier to navigate, it also adds a mod configuration menu so you can adjust the settings in compatible mods right from the pause screen. If you only install a single mod on this list, this is the one you need.